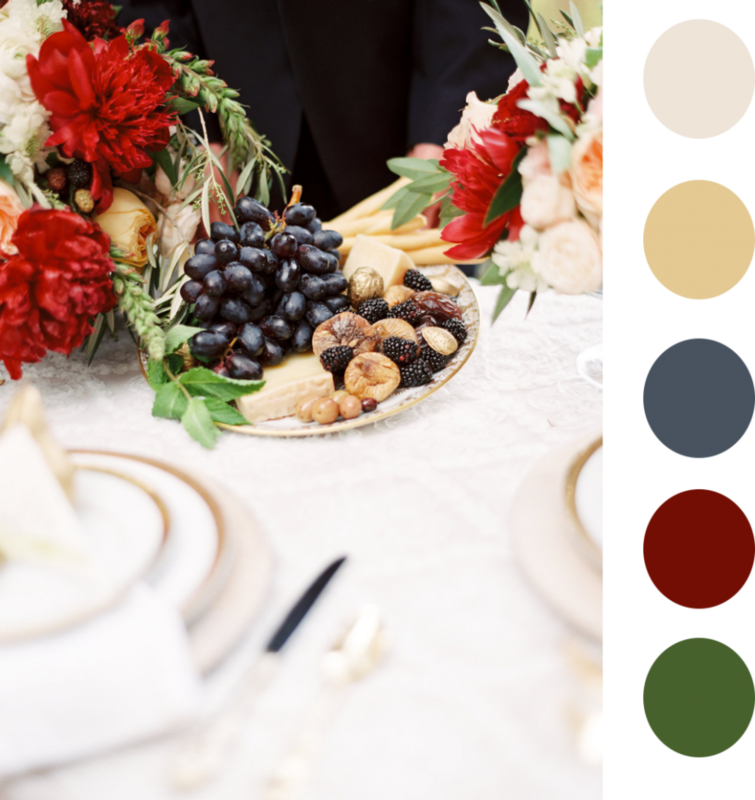 Autumns here and we want to share our take on fall color palettes! 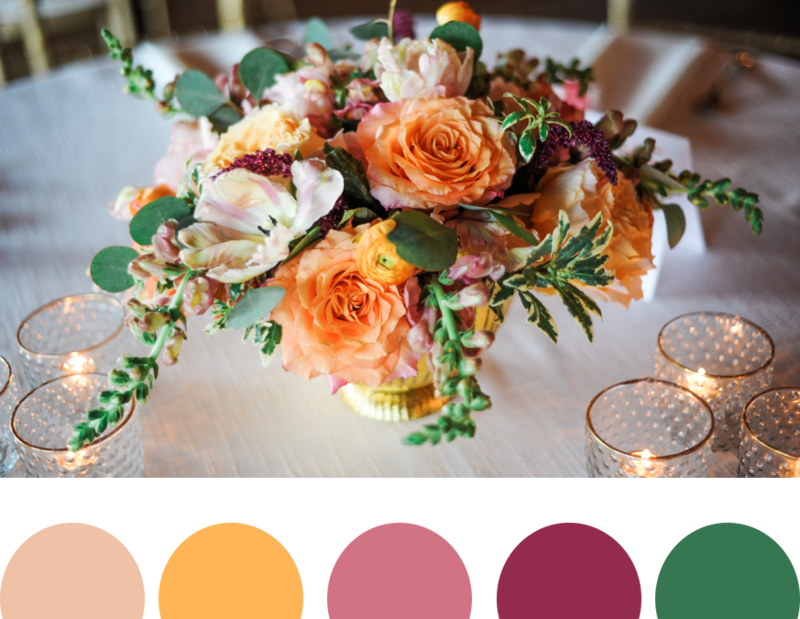 We’ve pulled some of our favorite color palettes we have used in past events. We all know the typical red, orange, purple and yellow, but Fall is such a fun time to play with all the different shades they bring. 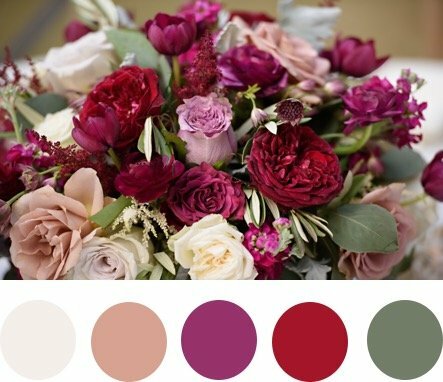 We love the burgundies and oranges, but we see them as an opportunity to bring out other brighter tones, such as the purples and fuchsias in the first photo, or the light pinks and peaches in the last. Just because the weathers cooler does’t mean your color palettes have to be too!